I was thinking about disease in 3rd edition D&D, and how it involves losing a few ability score points each day until you either roll two successful saves in a row and recover, receive magical healing, or die. A mechanic like this could be useful for other effects as well – a dramatic countdown to destruction that forces the character and his or her allies to “find a cure” before time runs out. Think about undead attacks, for example. Level loss is a great mechanic (I know, some people hate it) because it makes the undead frightening to the player as well as to his or her character. Imagine using almost irreversible constitution loss instead. The idea would be to allow maybe one initial saving throw against the effect. If it fails, the character’s life begins to ebb away. Maybe it would be one point per day, maybe one per hour. Slowly, though, the transformation is taking place. Maybe after two or three lost Con points, it becomes noticeable. When half the Con is gone, the character’s skin looks pale or grey, and their personality begins to change. Clearly, something must be done – a cure must be found! At what point do the other players give up on stopping the transformation and instead make plans to destroy their pal or imprison them somewhere? Disease can work the same way, especially if there’s an exotic or magical cure for it. Obviously, if there are cure disease spells floating around, there’s little point in doing this, so it probably needs to be something like mummy rot that is not so easy to get rid off. You could also use this to slowly model a person losing their mind, shifting in alignment, etc. Just pick the most appropriate stat, and let the effects show up slowly – first there will be suspicions (“Grak seems a little more irritable than usual”), then grave concerns (“I tell you, something is terribly wrong with Grak”) and then confirmation (“All the signs are there – Grak is being possessed by a demon! ), and then the race is on to cure Grak before he goes full demon. Key to a thing like this, of course, is the cure. It should be something within reach of the characters, but not easily reached. 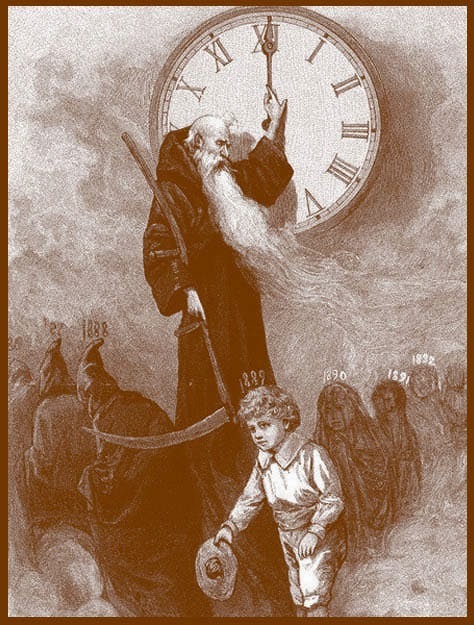 If you know the victim has ten days left to live, make sure the cure is about seven to eight days away – they can get there, and they have a little leeway, but it will be tough going, and the closer they get, the weaker (or weirder, or more evil) their pal gets, making the final push particularly hard. Of course, dramatic stuff like this loses its potency (and becomes downright annoying) when it is overused. If the party has to stop what they’re doing and go on a side quest every five minutes because somebody was bitten by a giant rat, they’re not going to be happy. You probably don’t want to do something like this often, and probably don’t want to use the same exact situation more than once. Keep it special and unique – magical or exotic diseases, not every sniffle – keep the spawning undead and lycanthropes rare in the campaign, etc. Just a random notion – could be useful as a way to make even a dungeon crawl game about more than just XP collection. Monsters and treasures come and go – it’s the dramatic stuff like this that will forge fond memories of a campaign. ← Fight Like a Greek Hero … In the Buff! This is a great idea to do exactly once for any particular table of people. Amazing idea. Although, if you made level drain into a more “mundane” CON loss situation, that would work on an ongoing basis. Any time characters face the possibility of permanent minuses, that gets the player's attention! The other way this works is if it's a semi-regular happening in a horror game. Who says horror necessarily has to drain SAN or whatever the equivalent is? It could be a wasting disease, or a putrefying disease, or anything that is gradual and scary. An excellent notion, “Save or die slowly” is a lot more dramatic and motivates a lot more action than “Save or die”. I really liked this post; so I added it to my Best Reads of the Week. I hope you don't mind.